Comment: Want to find a gardener to do the lawn cutting service for my backyard. Comment: Garden clean up including removal and reinstall of new weed blocker and build up small section of dirt terrace. Apply new bark throughout yard. Front yard, small wall rebuild. Comment: We have a tree in our front yard that needs trimming and then we have two small trees around our house that are growing a lot of weeks underneath them that need to be removed. There are also some weeds growing along our house and fence that need to be removed. We have a rose bush in our front yard that I think it dead and I'd like it removed. Our front yard is full of wildflowers and weeds that need to be maintained somewhere/cleaned up. Comment: I would like to get an estimate for Mow Grass and Maintain Landscaping. customer give permission to look at yard if home owner is not there. San Francisco Lawn Care Services are rated 4.67 out of 5 based on 502 reviews of 34 pros. 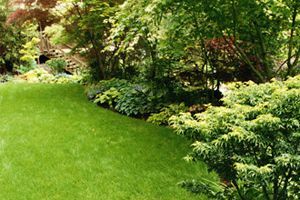 Not Looking for Lawn & Garden Care Contractors in San Francisco, CA?